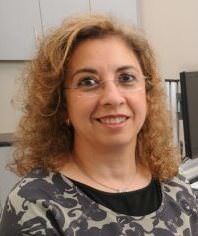 An obstetrician and gynaecologist specialist with over 20 years’ experience, Dr Hanan Maghazaji is dedicated to delivering advice and treatment in a professional yet friendly manner. Since 2000, she has worked in numerous hospitals, initially in Queensland then in South Australia, and was involved in teaching and training both undergraduate and postgraduate doctors. Then she decided to establish her private practice, Women’s Health Plus, to enable her to deliver comprehensive, compassionate professional care to women of all ages. She listens to patients’ concerns and discusses all available options for care, and will respect patient choice and help women to reach an informed decision. Dr Maghazaji’s interests include fertility treatment, menopause, incontinence, prolapse, pelvic pain, period problems, endometriosis, sexual dysfunction or any other related conditions. In addition, she offers a range of services such as urodynamics, neotonus chair (for treatment of incontinence and prolapse), colposcopy and ultrasound scan.